The World’s First EVER FDA Clearance for True Gum Regeneration! He has performed countless surgeries to improve his patients periodontal (gum tissue) health. 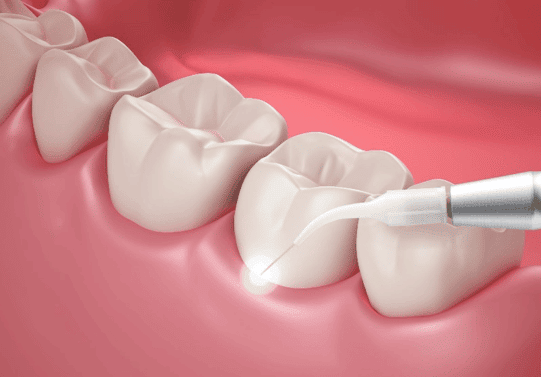 If you believe you may benefit from LANAP, call us today for a complimentary consultation and see how we can help you can get your gums healthy once again. I am probably a unique patient in that I can compare the LANAP surgery to traditional scalpel peel and scrape surgery as I like to call it. 3 years ago, I had the scalpel surgery and was not informed I would need to come every 3 months for a regular cleaning to keep gingivitis at bay. Thus I find myself in need of getting the same surgery all over again. Now I have had the right side done by you with LANAP and have the left side scheduled for tomorrow. The decision wasn’t whether or not to have the procedure done again. I like having my teeth and want to keep them. The choice came down to scalpel again or LANAP. Without a doubt, I am glad I went the LANAP route. The price differential between scalpel and LANAP ( remember, I have no dental insurance so it may be better for others) comes out to a little over $1,000. That slight difference is money very well spent. I would advise anyone getting Perio surgery done not to even consider the scalpel as an option. As for your office over others, I would recommend they see you. I went for a consult to a Dr that advertises laser in the TBT. Their entire process made me feel like I was working with a used car lot and the stereotypical sleazy sales tactics. I felt like I needed a shower after talking to them. I had even scheduled an appointment with them to have the laser surgery done. After another conversation with them went sideways I decided to look for another Doctor. Now I have had the right side done using LANAP by General and Cosmetic Dentistry of Tampa and have the left side scheduled for tomorrow. To learn if you are a good candidate for LANAP, please call us at (813) 540-7467 to schedule a consultation.